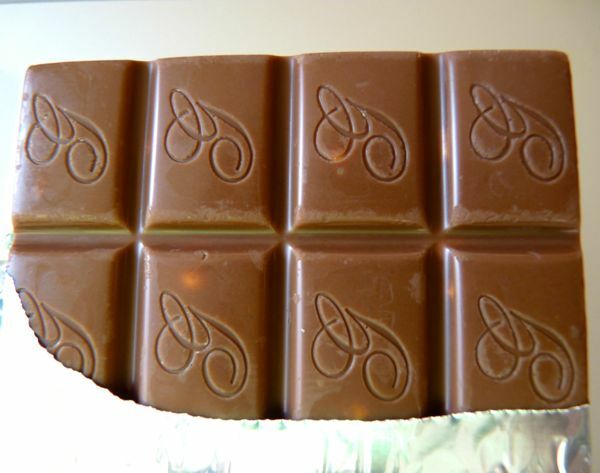 There is only one thing better than a great chocolate bar -- one with a good story behind it. 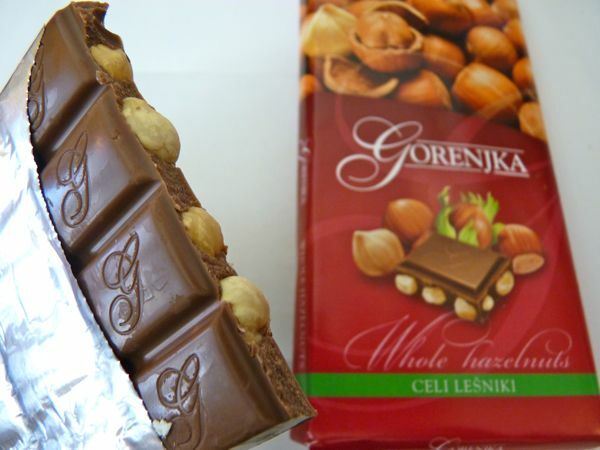 This Gorenjka (Slovenia) bar, a gift from a colleague at work, came from the same region her husband was from. 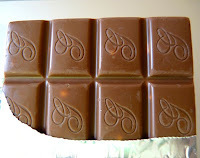 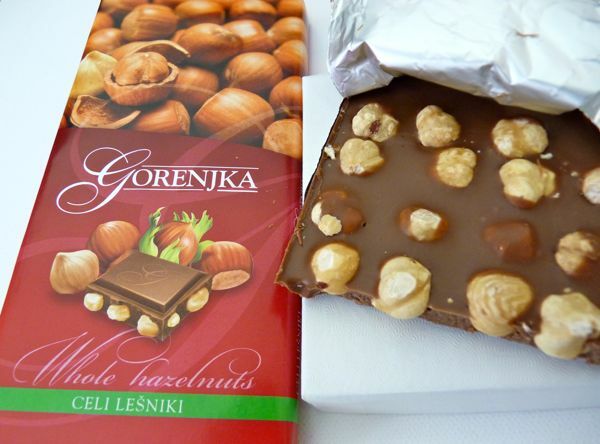 The milk chocolate that surrounded an array of superb hazelnuts was very smooth, sweet and creamy, in the European style. I broke open this bar, and it looked just like the picture on the wrapper -- it was studded with great, fresh tasting nuts that perfectly balanced the sweet chocolate.